The planned Wisconsin facility will be very similar to the one we opened in Lewisburg, Ohio earlier this year. 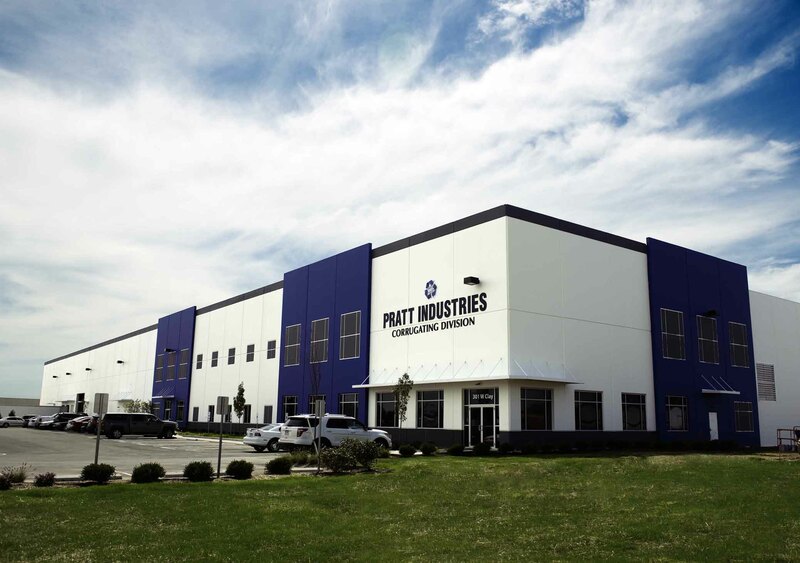 Pratt Industries continues its fast-paced expansion with the announcement it will begin construction on a new $52 million corrugated box factory in Wisconsin next Spring. The proposed 350,000 sq. ft. manufacturing facility, which will be built on a 56-acre site in Beloit, will produce approximately 600 tons of recycled boxes a day at capacity, the equivalent of saving more than 10,000 trees every 24 hours. It’s expected to be fully operational by January, 2016 and represents the company’s 7th major expansion initiative in 2014. These include groundbreaking on a $260 million recycled paper mill, start up of two recycling facilities and a display packaging plant, the official opening of a box plant similar in size to the proposed Wisconsin operation and the acquisition of a display company in Tennessee. “This is a memorable day for our company,” said Pratt Chairman Anthony Pratt. “This plant will be our first ever in the great state of Wisconsin and is a perfect fit with our aggressive growth strategy to increase our manufacturing footprint and capabilities in the Midwest. Pratt said the company was committed to providing 140 full-time jobs at the facility when it reached full capacity – as well as approximately 200 during the construction phase – a move hailed by Wisconsin Governor Scott Walker. The new plant, to be built in the Beloit Gateway Business Park, will convert corrugated container board produced at Pratt’s recycled paper mills into sheets and convert those sheets into finished boxes for distribution throughout the Midwest and beyond. Pratt said not only would the Beloit facility boast the most advanced technologies in the packaging industry, but it would also be a showcase for environmental responsibility. Aside from using 100% recycled paper in its box-making process, the plant will also use the latest in water reclamation technology, and will eventually reduce discharge into the local sewer system to zero. All fork lifts and grab trucks will operate on compressed natural gas instead of propane, further reducing harmful carbon emissions.